Performances from the final World Cups of 2012 provided plenty of fodder for speculation over the holiday break. With a lot going on this weekend, here’s our recap of racing from around the world. 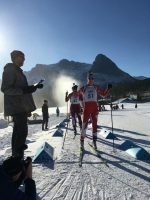 Fast conditions, a new course, big crowds and a loaded field should make for an exciting day as World Cup racing continues at the Canmore Nordic Center. In this edition of our Q & A series, American star Kikkan Randall discusses specific workouts performed during her recovery from a stress fracture, and we break down the different race series, and how they relate. 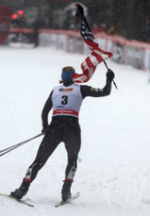 In case you were living under a rock this weekend, here’s what you missed in the world of skiing and biathlon. 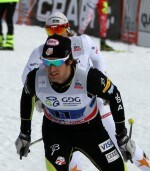 Friday’s team sprint was the first World Cup held on North American snow in nearly three years. FasterSkier captured the action in front of the Parliament. Check out our batch of photos from Friday’s team sprint in Quebec, which saw Americans Kikkan Randall and Jessie Diggins capture the victory. 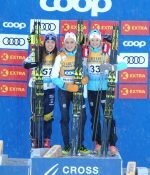 The excitement of an American victory in the women’s team sprint, and the disappointment of an Alex Harvey crash dominated the day, but with Nation’s Group quotas for both North American countries, there was plenty more action. Far away from the World Cup buzz in Quebec City there are NorAm races scheduled at Sovereign Lake Nordic in Vernon, British Columbia. 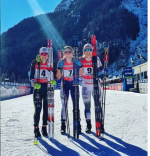 A 10/15 k mass start classic and 10/15 k freestyle are on on tap, and the field is expected to be quite competitive between the domestic Canadian and American field on top of international skiers racing as a tune-up before the Canmore World Cup next weekend.